To me, lyrical dance always has to have a story behind it. It doesn't matter if my story is the same as the next person's, all that matters is that there is intention behind the movement. I like to think of lyrical as a mix between ballet and contemporary. While ballet technique will be strongly focused on, there will be elements of obscure and intricate movements which will relate more to contemporary. At the beginning of every class, I will give students a base story line to work on/think of while in class. From there, I will encourage students to dig deep into their emotions and expand on the story and really make it their own. Whether it be within a combination, down the floor, or within improvisational activities, the student must keep their storytelling intentions in mind. What does dance mean to you? Do you have three hours? Dance means absolutely everything to me. The memories, skills, and friends I have gotten from it are absolutely irreplaceable and I am so thankful for that. It’s a creative and healthy way for me to escape anything and everything going on in my life. There are times where I have (literally) left my blood, sweat, and tears on the dance floor, and to explain this feeling? Unreal. Because of this feeling, you bet I’m already saving up for my future children to dance. Thank you, dance. Fave Bing-worthy Netflix show: PRISON. BREAK. Check out some of Emma's moves to see if Advanced Lyrical is the right choice for you! 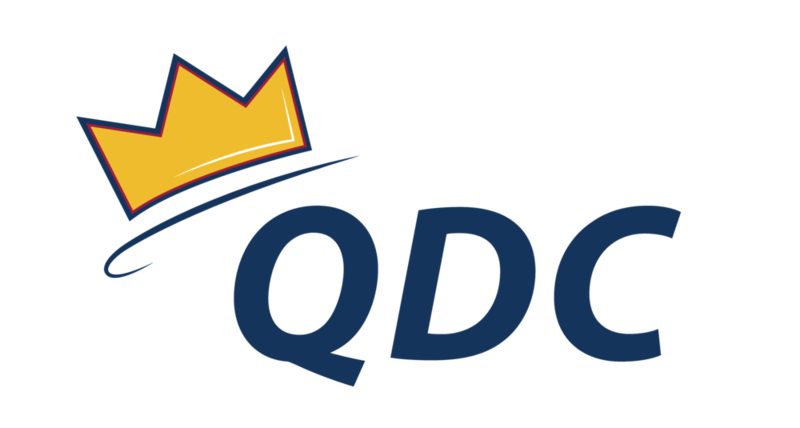 You can contact Emma with any questions regarding QDC service, including club clothing and merchandise, at service@queensdanceclub.com.